Home › Energy-Efficient LED Lighting › Spiritled 100 Lots Strip Light Mounting Bracket Fixing Clip-One Side Fixingsc..
Spiritled 100 Lots Strip Light Mounting Bracket Fixing Clip-One Side Fixingsc.. Hollow Distance 10.8mm (3/7"),Ideal for strip width 10mm(3/8"). Hollow Height 1mm(1/25") which is perfect for non-waterproof strip light. 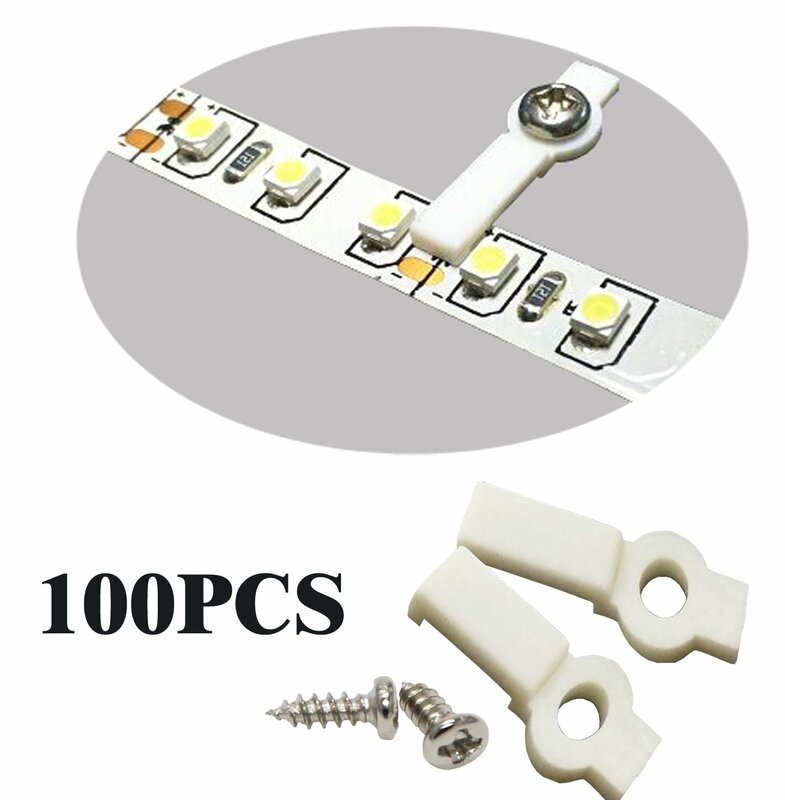 Width 4mm (1/6").Suitable for strip lights LED quantity 30/60/120/300PCS per meter. Installation with 2-5 pcs clips per meter.